If you’re purchasing a home that is older than 25 years old a 4 point insurance inspection is required for Homeowners Insurance. With a 4 point inspection you receive a detailed report stating the condition of the electrical, plumbing, air conditioning and the roof. The purpose of the 4 point inspection is to identify the existing condition of the home and assess the remaining life expectancy of the roof, a/c, plumbing and electric. This inspection provides you and your insurance company a better understanding of the condition of the property, and helps the insurance carrier determine if the house is insurable in its present condition. Insurance companies are concerned that older homes may have issues that could become a liability to them. For example – a home with a roof nearing the end of its Life Expectancy may begin to leak while under the policy, and the homeowner may seek reimbursement from their insurance company. Other areas of concern include condition of the air conditioner, electrical and plumbing systems. If these systems are in poor condition or were improperly installed, they may fail and cause fire or water damage to a home. The 4 point inspection also includes a thorough inspection of the electrical service panel and circuit breakers. Tests are carried out to identify if the system is overloaded and if it needs electrical improvements. During the inspection we take photos of the home and these four areas of concern. 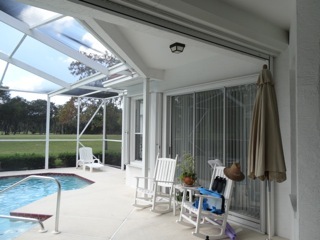 These photos along with a complete report will be provided to the insurance carrier for their review. Request a 4 point insurance inspection today!